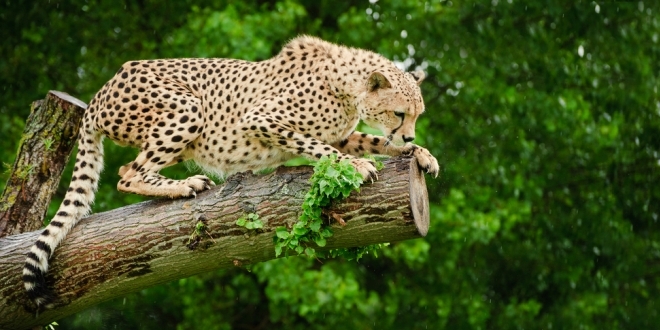 See cheetahs and other wildlife in the animal sanctuaries in and around Johannesburg. South Africa is known for its wildlife, and families that are visiting Gauteng won’t be disappointed. Zoos, parks and animal sanctuaries in Johannesburg, Pretoria and the surrounding areas are a must for anyone that wants to experience some of Africa’s wildest animals up close. These enchanted gardens are nestled in the heart of glitzy Sandton and are home to more than 60 species of beautiful birds, reptiles, and little mammals. They wander around freely and are fantastic for a quick family trip between shopping sprees. The Johannesburg Zoo in Parkview is home to wild dog, hyena, hippo, zebra, bear (brown, polar, and spectacled), lion, cheetah, puma, gorilla, panda, and even Siberian tiger; along with loads more incredible species. The walk-through aviary means that visitors can get up close to colourful feathered friends, while the medicinal and herb gardens are exquisite to explore. Little ones love the farmyard, where they can pet sheep, ponies and horses or play on the jungle gyms. There are a number of tours on offer at the Jo’Burg Zoo. With more than 9 500 animals, this is one of the world’s top zoos. See rhino, lion, cheetah, hippo, elephant, and gorilla in gorgeous habitats. Explore it in a golf cart, on the Zoo Choo-Choo Train, or from the cableway that takes you soaring above the zoo. It’s also home to South Africa’s biggest inland marine aquarium. Ragged-tooth sharks and endangered Komodo dragons are just some of the aquarium’s most popular residents. Against the gorgeous setting of the Magaliesberg Mountains and the Hartbeespoort Dam, live reptile shows and tours of the park are irresistible for families visiting Gauteng. More than slithering snakes, the park is also home to chimpanzees, tigers, vultures, and other wild cats. Some of the animals enjoy human interaction, and guests are invited to touch and feed them. There is also a tea garden here. Visit the primates in their natural forest habitat in the Magaliesberg. The animals; which include spider monkeys, squirrel monkeys, and capuchins; have been rescued from the pet trade or previously raised as domestic pets. Their rehabilitation into the wild has the main aim of allowing them to live happily wild lives again, within the protection of the sanctuary. Also on the Hartbeespoort Dam, this sanctuary offers visitors the once-in-a-lifetime opportunity to walk with, touch and feed the mighty African elephant. This is one of the very special animal sanctuaries in Johannesburg. This is in Lanseria, less than an hour from Johannesburg, and promises a real thrill for the family. The braver visitors can even hold baby crocodiles, a tarantula, and a few of the resident snakes. Round off a formal tour of the park with a hot cuppa at the tea garden. There’s a shaded play area, where the little ones love to burn some energy. See anacondas, rattlesnakes, mambas, pythons, cobras, and crocodiles in this Edenvale attraction. There are live snake shows too, for those that want to learn more about these animals and get even closer to them. In the Midrand, between Johannesburg and Pretoria, is this gorgeous natural retreat, where families can spot some beautiful animals. Dubbed a boutique zoo, this sanctuary is home to many different species; including cheetahs, lions and a variety of snakes. Also known as the City of Gold, Johannesburg is a hotspot for world-class shopping and entertainment. There is plenty of accommodation here, and the convenience of the OR Tambo International Airport. Previous: The Eastern Cape Versus the Western Cape – What’s the Difference?